At E2W, we recognise the contribution women make to the economy and are passionate about helping women harness their experience, knowledge, and skills for the financial services industry. Our coaching services are designed to support women in their aspirations and development. We understand that coaching is a two-way relationship and will always have your best interests in mind. We are proud to support you in your ambitions and share in the excitement of your success. We help you articulate your valuable skills, provide support and encouragement in new challenges, and envision the 'future you'. E2W offers a free, confidential, no-obligation discussion to understand your current career status and identify which programme would benefit you the most. You may need to provide certain information, so we can deliver the best services for you - for example your current CV or profile. Please call Katie Dix on 01732 897728 to discuss. I specialize in working with professional women who aren’t showing up the way they want to. My clients are smart, savvy, successful professionals in key senior and leadership roles. Despite all their talent, drive, and hard work, these women feel undervalued, overwhelmed and lack the confidence to consistently do what’s right for them. My clients are frustrated by their inability to speak up or have the impact they know they can have. These extraordinary women are at a place where they leave work feeling stressed, unfulfilled, even anxious and may be considering leaving their firms or their fields altogether. We schedule a 20-minute call to discuss what is going on in your life and explore how I can support you. We will talk for a 90-minute Deep Dive Strategy (DDS) session. This session can be a stand alone coaching opportunity, but is often the first in a longer coaching relationship. Engage 2x a month for 60-90 minutes (depending on your needs). Receive unlimited email feedback and support between sessions. Work using a process that is in line with your values and personality, so that you can do more of what’s right for you and feel great about it. I have worked in the field of personal and professional development for nearly 20 years building my reputation on the creation and delivery of pragmatic and inspirational programmes that generate lasting change. Blending coaching, facilitation and training, my style is provocative, focused and fun ensuring everyone I work with leaves not only with a wealth of pragmatic ideas but the motivation and a plan for translating those ideas into action. I see it as my job to combine warmth and challenge to get to the heart of the matter. I know that people do their best in business (and their lives) by being themselves and speaking their truth. I also know that’s not always easy. My areas of specialism are: communication in all its forms (from presentation skills to landing tough messages with difficult people), leadership and management development, personal and leadership impact, influencing others, leading change, career coaching, confidence and self-esteem building and team development/facilitation/coaching. Start with a 20-minute call or meeting to discuss what is going on in your life and whether it makes sense to work together. 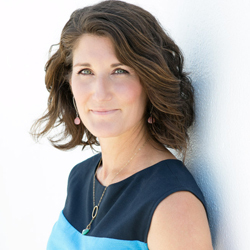 Kat is a Career Coach who works with successful, driven professionals to identify their perfect-fit next career move and build high performance teams through authentic leadership. 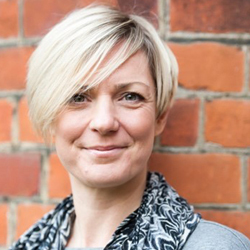 Kat has held various leadership roles in Financial Services and has latterly developed her coaching practice over the last 4 years, working with leaders to transform their careers and business results. Start with a 20-minute call or meeting to explore how I can help you. Should I go for the interview? Should I ask for a pay rise? Should I leave my current firm? Kat will help you identify the key drivers that will help you make this decision. You’ll walk away with clarity and an action plan. Kat specialises in helping people who are having a ‘my current role isn’t right, but I don’t know what I want to do next’ moment. Ideal for people who have a proven track record in leadership but know they could be doing MORE. This is the programme for you if you’re unfulfilled in your current role, frustrated, bored, overwhelmed or disengaged. Kats 3 step model helps you to work out your passions, skills & experiences and personal values – this insight helps you to reconnect with what you’re exceptional at and where you can add most value. Kat then supports you to leverage your existing network to make a confident and decisive next career move. This includes unlimited access to Kat by email during the coaching period for ongoing input as you progress, so you feel truly supported. 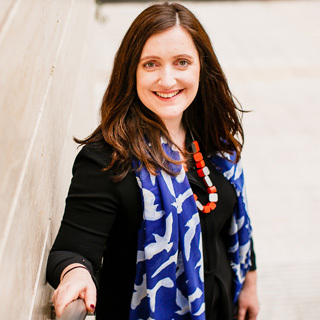 Kat works with leaders to enhance their leadership skills, including creating a strategy & vision, building confidence, creating an authentic leadership style, navigating internal politics, stakeholder management, presenting at Board and developing a high performing team through coaching & collaboration. Perfect if you’re stepping up into a new or evolving leadership role and want to be exceptional. Existing clients who have completed an 8 session programme can continue working with Kat for a further 4 sessions at the lower investment of £1000. "After nearly 20 years of building and leading technical teams and organisational change, I know that people are the key to success. I've had the pleasure of helping some exceptional people do extraordinary things. I've supported grow and develop into phenomenal leaders. I've helped people gain a greater understanding of what they want from their career, what's holding them back and how to make positive change, so they move forward. I've helped people new to leadership through to senior executives focus on the important things so they can achieve the impact and results they want. I know from experience that the one size fits all approach to leadership training and development no longer works. And that coaching provides the best lasting results when it comes to helping people reach their goals and delivering real return on investment. Coaching with me means we are both 100% focus on you as an individual. My role is to help you learn and rediscover the things you already know. I will challenge you, I will hold you accountable, and I will call you out when you're not true to yourself. I will also be your biggest cheerleader, I will believe in you when you don't believe in yourself, and I will help you to uncover hidden strengths and talents." A 30-minute introductory call to get to know each other and to discuss how I can help you reach your full potential. The higher you move up in an organisation, the harder it is to find honest feedback on your performance and the impact you are having. As a leader you are expected to have all the answers, yet how do you know you have the best solutions? 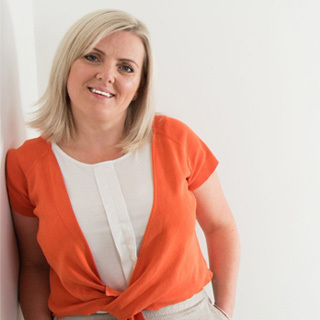 As your leadership coach, I can help you work through the challenges you face, provide you with honest non-judgemental feedback and setup processes that create success. 4 x 45 minute 1-2-1 360 feedback sessions with employees/people of your choice. We spend over 90,000 hours of our lives at work, which for most of us is more time that we spend doing any other single thing. Yet in the UK workers’ job satisfaction continues to fall. According to one study, satisfaction figures in London are even lower than the rest of the UK, with almost 80% of workers reporting they are unhappy in their job. I have often wondered why so many people stay in jobs they aren’t happy with, tolerating such seemingly low levels of job satisfaction. 4 -x45 minute 1-2-1 360 feedback sessions with employees/people of your choice.